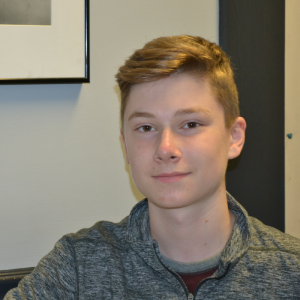 The following guest post was written by volunteer Andre Biehl. For me, volunteering is a passion. I have been volunteering at Arm in Arm since 2015, when I was in 7th grade. In my work, I restock shelves with healthy foods and help clients select their food items. I have staffed the client intake desk, helped deliver food to home-bound people in Trenton and, because I speak Spanish, have translated information for Spanish-speaking clients. In doing so, I’ve met people from Trenton and from different parts of the world who, for one reason or another, need Arm in Arm’s help. I’ve learned about the hardships that bring them here—a disability, unemployment, or economic difficulties. Some consider Trenton itself a food desert, meaning that there are fewer food retailers in the area, while healthier foods are overpriced. Even though healthy food is difficult to come by, taste is still vital. Seth Arber, Arm in Arm’s Hunger Prevention Coordinator, told me that patrons miss having seasoning and spices as an “extra” item (people on the outside usually don’t think about donating these items). With several food drives this year, I collected over 70 pounds of spices, and people at the pantry were thrilled. 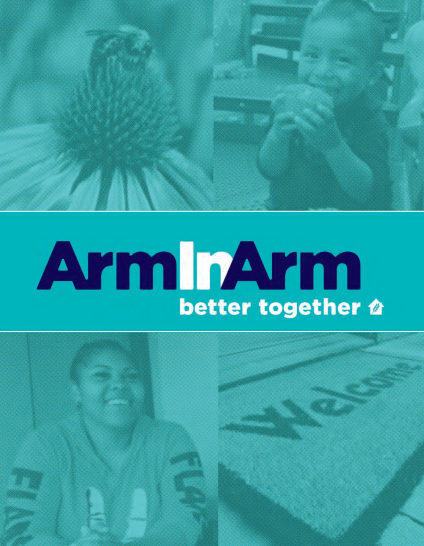 At Arm in Arm, volunteers help the community directly. Because of us, on busier days when the lines are long, patrons will not be turned away. I also think we volunteers serve the community in ways that aren’t so obvious. When parents worry less about providing food for their children, overall stress is reduced, allowing them to be available to their kids in other important ways. I see Arm in Arm as a place where everyone is treated with dignity and respect. Volunteering has a special meaning for me. It doesn’t just mean stocking shelves and going home. It means getting to know people, if ever so briefly, understanding their lives and their emotions. It means providing for an ever-growing number of food-insecure people, but also being committed to the people I am helping.